Home / What Is edgesuite.net? Who/what is “edgesuite.net”, I thought. Edgesuite.net is run by Akamai Technologies (www.akamai.com). Akamai is a content delivery network (CDN) that is used by a large percentage of Internet sites (something like a ⅓ to ½ of all traffic goes through Akamai). Normally the addresses don’t show up, but sometimes you will see edgesuite.net which is handled by Akamai. In this case, you aren’t the victim of phishing, but rather the website is using external CDN to speed up delivery of your traffic. Akamai has 73,000 servers in 70 countries within nearly 1,000 networks. 85% of the world’s Internet users are within a single “network hop” of an Akamai server. Akamai can deliver up to 15-20% of Web traffic on any given day. Akamai delivers daily Web traffic greater than a Tier-1 ISP, at times reaching more than 2 Terabits per second. According to Akami, today the company serves up 2 trillion Internet interactions a day. The company’s 2014 State of the Internet report has extensive data on DDoS, global connectivity and mobile networks. The report contains data on connectivity: calling “high broadband” the connections to Akamai at speeds faster than 10 Mbps and “broadband” the connections at 4-10 Mbps. The United States is not in the top 10. 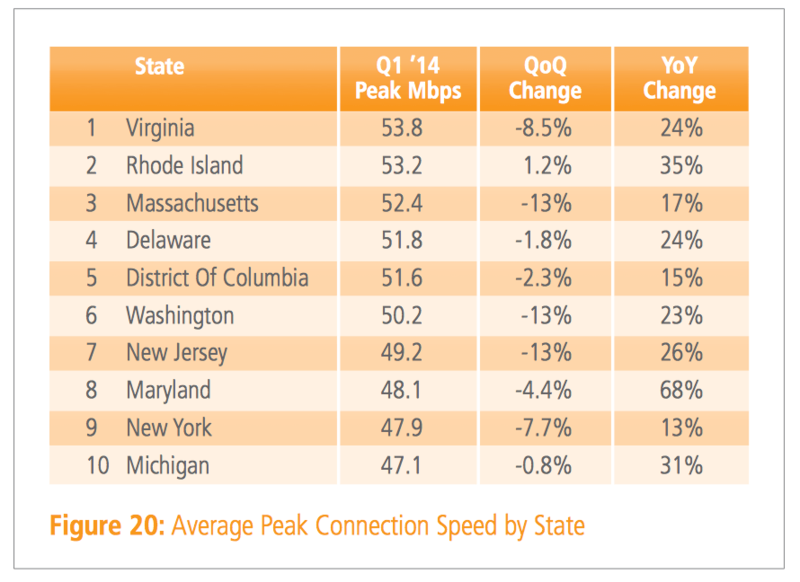 In the first quarter of 2014, quarterly changes in average peak connection speeds across the top 10 states were decidedly negative. 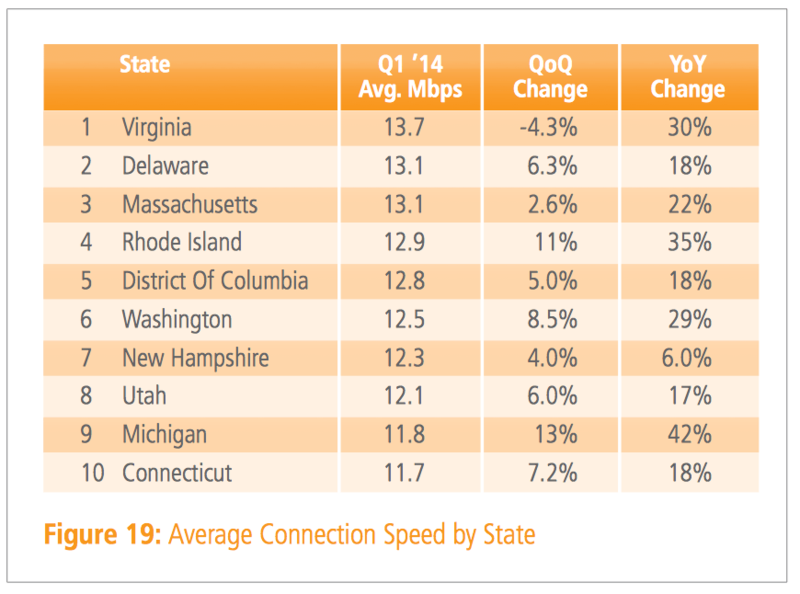 First quarter 2014 data from Akamai show Virginia with the fastest average connection. If the data were more granular, I’m certain that would be Northern Virginia. 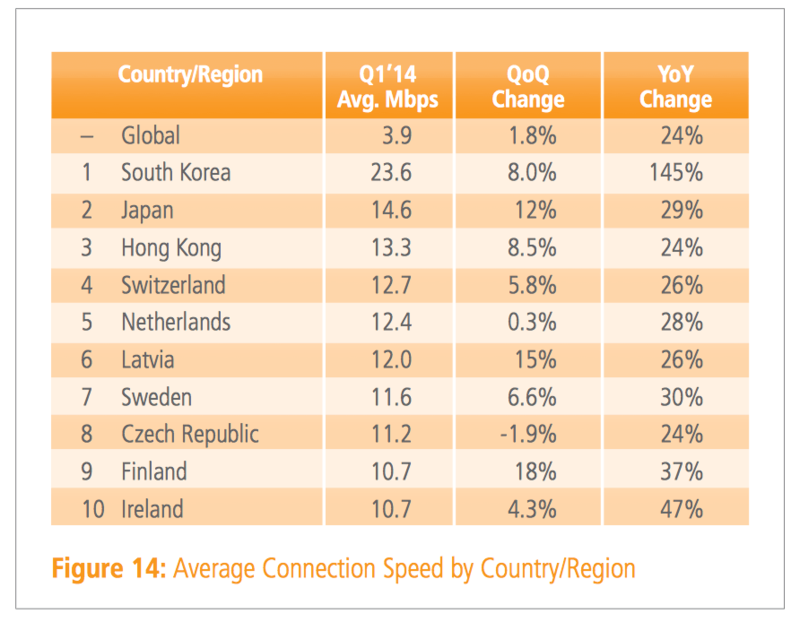 Akamai’s first quarter 2014 data show a decline in quarterly average Internet connection speeds in the U.S.
What Is http://t.co/ne76VwvmZ1? http://t.co/LhY2CCuMUZ via @kegill video stream of today’s Apple press conference has a “non-Apple” URL ..
Oracle uses this for it’s VirtualBox updates. they are using it to censor the internet. i have been blocked from commenting through this service. My boyfriend uses this to watch every thing I do on my computer and iPhone. Including video through my web cam, photos & Internet activities. So much for the free internet. RIP. Apple uses this service to show their Keynote addresses online. World of Warcraft use this service to deliver their patch updates.